Anyone who is from Nepal already knows what Titaura is. Just thinking about it, my mouth is salivating already. For the rest of you who don’t know, Tiatura is sweet, sour, salty or hot or mixture of all those made from fruits like lapsi (pronounced “Lopsy”) which is also known as Nepali Hog Plum or scientific name Choerospondias axillaries. Titaura is also known as Paun in Nepal Bhasa. Titaura seems to be famous among teenage girls so it is also known as lyase paun. In Nepal Bhasa the word lyase means young girl . Lapsi is found in Nepal in the hills and they bloom in spring which is around March /April. Lapsi grows in a tree and it has green cover with flesh and a single seedstone inside when it is ripe. Lapsi by itself tastes sour but when they make Titaura, they boil lapsi and take the seedstone out . The gluey flesh is mixed with ingredients like sugar, chilli, salt, other spices depending upon what type of Titaura need to be made. Then it is dried in the sun before packing in a plastic pouch to sell it. 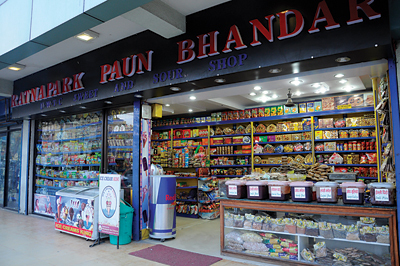 One of the most famous shops in Kathmandu for Titaura is Ratna Park Paun bhandar. The Tiatura from Paun bhandra is sold every where in Nepal form corner shop to supermarkets. These days you also find Titaura made from mango, tamarind, dates, lemon, gooseberry and lime. For the last few years, we have been lucky to get Titaura in Nepali /Indian grocery shops in Sydney as well. It does cost almost 100% more but it is worth the price for the treat sometimes. I don’t buy it often but when I do, I love it. I love the sweet ones a lot. Not a big fan of salty and hot ones. Normally in Nepal, it is believed that these Titaura are not made in hygienic way and are discouraged by parents but you will find people of all age enjoying it nevertheless. This entry was posted in Nepal, Nepali food and tagged Choerospondias axillaries, hog plum, indian grocery shops, lyase paun, Titaura. Bookmark the permalink. I love titaura but I’ve always wondering about the preservatives and type of colours that go into preserving them. I’m pregnant now n still enjoy it even more but I can’t help wondering how safe are the preservatives used in it. I only wish they would change the packaging into something more hygienic. I am sorry but I can’t buy hope someone can. 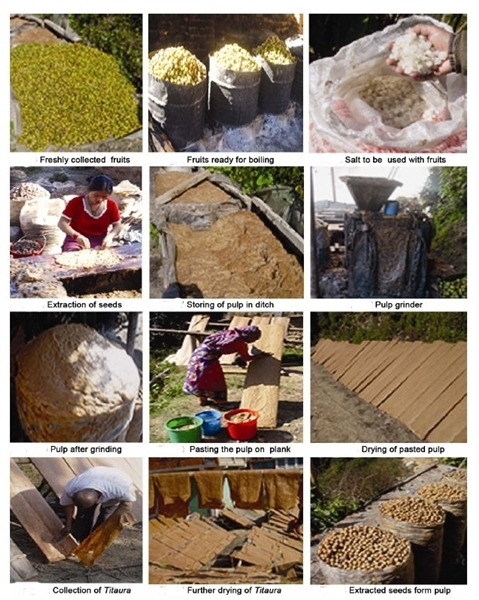 Hi Suman its Alok from Sanga Nepal the place where the Titaaura is made.For Further queries You may contact me on my No. Which is 7797827548. There are heaps of stores in sydney around rockdale and ashfield, campsie. Indian shops have started selling titaura these days because they are really famous among indians too. Does anyone know where i can find paun near or in the sydney cbd? Yas iam jit from sikkim..my contact no 9593923014 i can send you plze contact me. I love Titaura, haven’t had them for mire than 10 years now. I see you are from Sydney I m from Brisbane. Wondering if the groceries here sell tituara too? If you want any products related this pls. reply on below email id. Till now I haven’t eat it. I will try in my next time in Nepal. 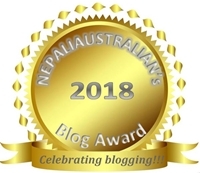 Very nice blog – all about Nepali culture, food and festival! I love Lapsi ko Titaura…..
Have you bought some recently? Such interesting foods you have… I like the idea of hot and salty. Lapsi ones are the best. Wish we had more choices here. I think once you tried Titaura, you can’t say no to it ever again 🙂 Glad you love it too.